With pick up in Sorrento/drop off in Capri. 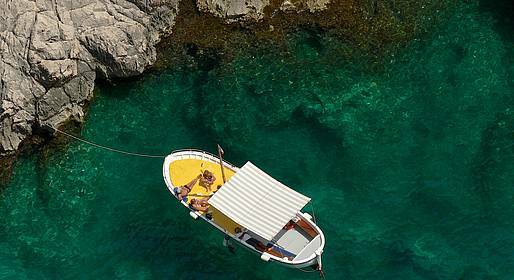 The half tour tour includes a complete tour around Capri in all the grottos and hidden spots, swimming, snorkling and sun bathing. After the half day tour we drop you off in Capri. Public ferries back to Sorrento departs from the port of Capri where we will end your boat tour.